89. Attend and testify at public hearings, or find other ways to provide accurate information about important issues. 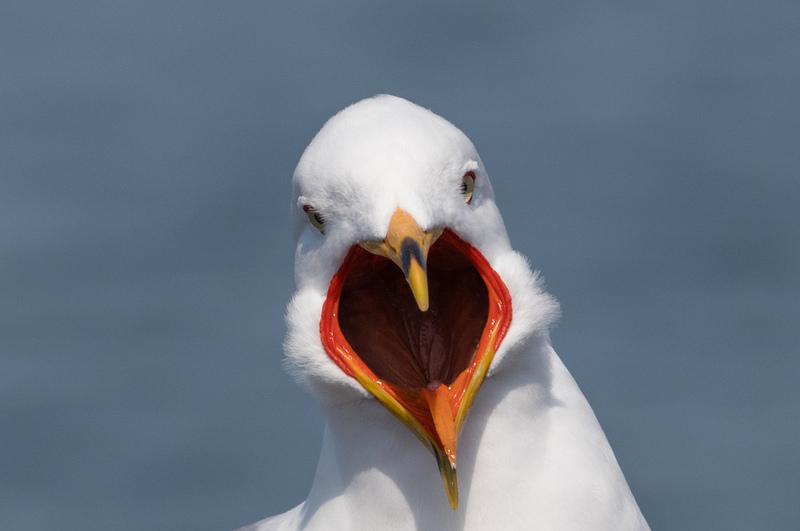 During the height of a controversy in my city, when the Ring-billed Gull population had exploded and people were growing alarmed and upset by them, I got a call from a city councilor asking me to attend an upcoming meeting. He wanted me to present factual information about the issue, especially because another councilor had suggested that the city introduce wild pigs to the harbor area to control the gulls by eating their eggs. This would have been like curing an earache by cutting off your head. The city councilor who had suggested the pig plan may have been uninformed about both birds and wild pigs, but he was an honest and friendly politician who had been reelected many times because the people in his district trusted him. It didn’t take much on my part to convince the council, including him, to search for better alternatives. When birds are at the center of any controversy, be they gulls, geese, or cormorants, the first task is to determine, clearly and honestly, what issues lie at the heart of the conflict. For instance, when golfers are upset about geese, it’s usually related to the real inconveniences of slipping on goose poop, being attacked by aggressive geese when playing near a nest, and trying to play with geese standing between the ball and the hole. 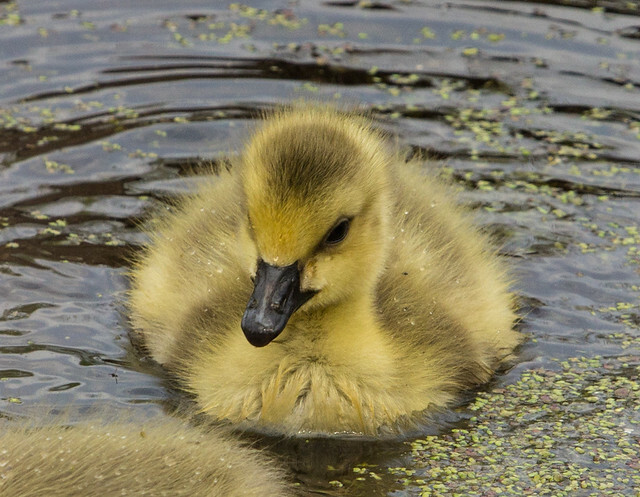 In dealing with this kind of conflict, our task is to find safe and practical ways to discourage geese from the golf course, not to pooh-pooh the problems or to go on ad nauseum about what magnificent creatures Canada Geese are. The U.S. Fish and Wildlife Service estimates that at least 5 million and possibly as many as 50 million birds are killed annually in collisions with communications towers in the United States. There are more than 85,000 towers, over 60,000 of the lighted, dotting the American landscape, and that number is expected to rise dramatically during the next decade as more high-definition television towers and wider cell phone and messaging coverage exacerbate the problem. [UPDATE: Current estimates as of 2016 have cell phone towers number 215,000]. Little research has been conducted to discover ways of preventing birds from striking towers, including such simple measures as noisemakers, predator calls, streamers, sleeves, balls, paint, extra lights, changing the duration of the strobes or flash patterns, or changing the colors of the aircraft warning lights. Public apathy about the issue is understandable—few people even realize how deadly these towers are to birds. In 1988, when I worked to stop construction of a guyed, lighted tower that was going to be built along an internationally famous hawk migration flyway, virtually none of the public I talked to, including local birders, had ever heard about bird kills at towers. A handful of places, most notably in Florida, Kansas, and Wisconsin, had been monitoring one of more towers for many years. I became involved in the issue because I knew about the enormous bird kills documented at an Eau Claire, Wisconsin, TV tower, beginning when more than 20,000 birds were killed on a single foggy night—September 20, 1957. But it was impossible to get a sense of the national magnitude of the problem or the potential hazard at this specific flight near the hawk flyway. We did, however, have decades of precise data about the Duluth area’s hawk migration and several years of data about the exceptional magnitude of nocturnal and early-morning nonraptor flights along the shore, not far from the proposed tower. I pulled that data together to explain the potential for harm. I also collected statements from several prominent ornithologists and knowledgeable birders throughout the state attesting to the unique importance of the area for migrating birds and the danger of siting a tower on the migration path. Based largely on the strength of this evidence, the zoning board and the board of adjustment both voted unanimously to deny permits for construction. When the town’s three-member board voted the other way, I ended up filing a request in district court for an environmental assessment before construction could proceed. I waged a public-relations campaign, as did the company proposing the tower. It made the mistake of misrepresenting the tower as being essential for 911 emergency service in the township. One call to the county administrator of 911 services revealed the truth: the township’s 911 antennas were already in place elsewhere, and the proposed tower had no bearing on emergency services. Even as I exposed the deception, I firmly and consistently kept my primary focus on the specific elements of towers that posed a danger to birds—guy wires and lights—and the unique magnitude of the migration in this specific area. I explained dozens of times, to hundreds of people, how nocturnal migrants can be attracted to the lighted space, become disoriented as they flutter about, and strike the tower, the guy wires, or one another. By neither exaggerating nor minimizing the dangers, staying within my area of expertise, and finding other experts to back up my claims, I garnered so much public support that the company backed down and built a 100-foot wooden pole cemented into the ground to hold its antenna. It was short enough to not require lights and was built without potentially lethal guy wires. We’ve constructed tens of thousands of lighted towers since that time, and even more information has come to light proving that communications towers are lethal to birds. But still, little attention is paid to the problem. We can’t and shouldn’t try to stop the construction of every proposed tower. We should, however, demand that bird kills at all towers be monitored and documented and then use the data to pressure the industry to develop technologies—auditory or visual—to reduce the kill. Every bird killed by one of these towers represents a clear violation of the Migratory Bird Treaty Act of 1918, one of the oldest conservation statutes in existence, which states that no migratory bird may be killed by anyone unless specifically exempted under a permit. This is a strict liability statute, making the “take” of migratory birds without a permit illegal, even when unintentional, incidental, or inadvertent. The research necessary to develop strategies to reduce the kill should be paid for by bird take permit fees, based on the number of birds killed by each tower the previous year. 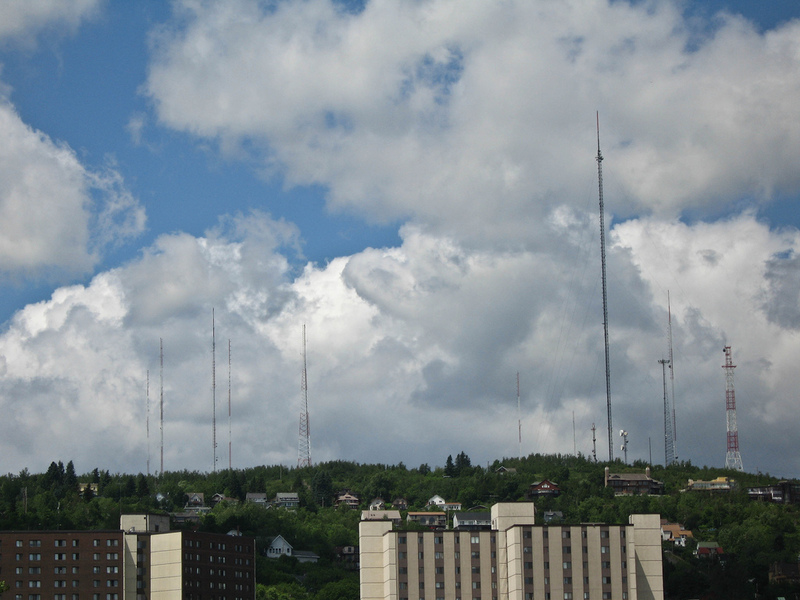 These unsightly and deadly towers will remain standing until we figure out a better way to send communications signals, perhaps by satellite. Meanwhile, they provide us with useful and even lifesaving benefits. But the number of birds they kill is unacceptably high, and we need to demand that the corporations profiting from them reduce the slaughter. When a tower is proposed in your neck of the woods, request that permitting agencies follow U.S. Fish and Wildlife Service guidelines for construction and siting, and urge daily monitoring of bird kills during spring and fall migration. When anglers or fish farm managers propose to kill or harass cormorants, their concern is usually competition for fish. This is hardly a new issue—people have been killing cormorants throughout history for the same reason. But beginning in the 1950s, DDT, PCBs and other contaminants drove cormorant numbers down dramatically, especially in the Great Lakes; by the 1970s, breeding cormorants had been completely extirpated from Lakes Michigan and Superior. Since most adults alive today don’t have a clear memory of cormorant numbers before this period, the increasing cormorant numbers on those lakes seem like an insidious new development rather than the natural outcome of a species recovering from an environmental scourge. But it’s easy for conservationists to go too far in defending cormorants. Presenting statistics about the kinds of fish they typically eat can be misleading, since their local impacts can be significantly greater than statistics indicate. Again, whenever competing interests are at loggerheads, politicians and managers must try to find a solution somewhere between the two extremes. In this case, making an honest effort to find the most environmentally sound and human ways of reducing cormorant pressure on local fisheries will help. But when the efforts of one group to understand and accommodate the needs of the other group aren’t reciprocated, decision makers often end up giving more to the unyielding side, not striking a fair balance at all. Although it can be helpful to suggest alternatives to a very bad proposal, it’s not our duty or obligation as conservationists to have an answer to every problem we point out. Sometimes, stopping a misguided project or the use of a dangerous toxin is the only solution, pure and simple.